Police Thursday identified the 66-year-old man who was fatally stabbed inside a Pacific Beach condominium and his 37-year-old nephew, the suspected killer. 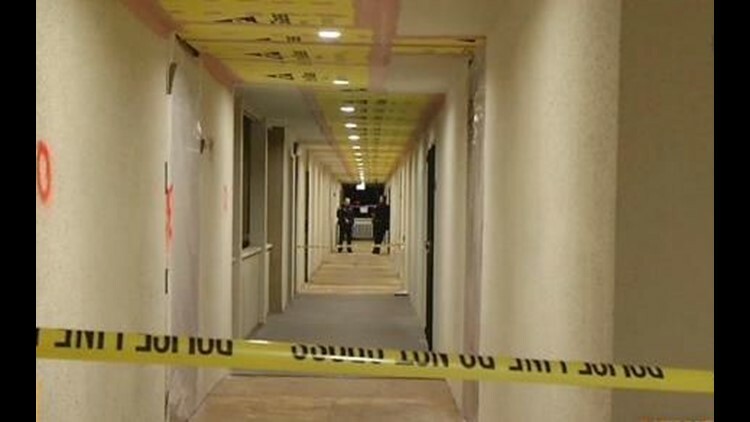 SAN DIEGO (CNS) - Police Thursday identified the 66-year-old man who was fatally stabbed inside a Pacific Beach condominium and his 37-year-old nephew, the suspected killer. Victim Merlino Bautista and suspect Randy Bautista Baisa lived together at The Plaza Condominiums at 1855 Diamond Street, San Diego police homicide Lt. Mike Holden said. A neighbor at the complex called 911 early Wednesday morning after Bautista, suffering from several stab wounds, knocked on the neighbor's door asking for help. Bautista was laying on the ground of a second-floor hallway when officers arrived on scene and immediately began administering medical aid, Holden said. He was taken to Scripps Memorial Hospital in La Jolla, where doctors pronounced him dead. At the condo where Bautista lived, officers found and arrested his nephew, Baisa, who they believed stabbed Bautista inside the residence. Homicide detectives today still had not determined a motive or what led up to the violence, Holden said. Baisa remained jailed today without bail on suspicion of first-degree murder, jail records showed. He's expected to be arraigned Friday afternoon in a downtown San Diego courthouse.